We all love a fresh loaf of white bread, but it's not so great for the waistline. Try this tasty health loaf instead. 2. 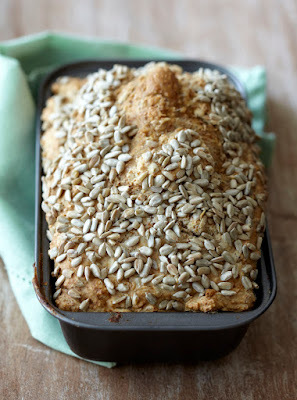 Mix all the ingredients together, except 30g sunflower seeds and pour mixture into a well-greased loaf tin. 3. Smooth and sprinkle over the remaining sunflower seeds. 4. Bake for 45 minutes or until bread sounds hollow when tapped underneath.